The convenience of modern technology, ever-evolving software and exciting, new platforms means the number of online casino players increase around the world. But where is it most popular? 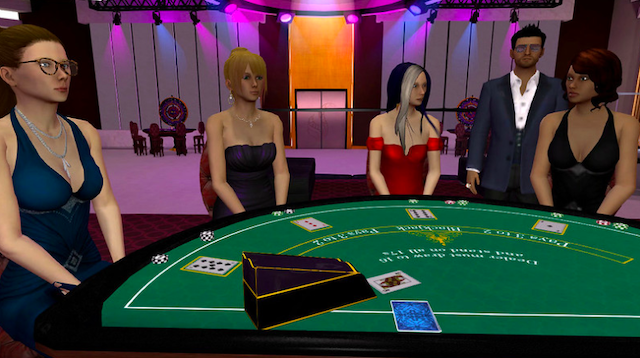 Gambling online continues to grow in popularity. The craze has fuelled a dynamic and competitive market that is seeing new casinos arrive on the internet constantly. The convenience of modern technology, ever-evolving software and exciting, new platforms means the number of online casino players increase around the world. But where is it most popular? Driven by core factors as well as geo-specific influences, the worldwide spend at online casinos increases each year. On a global scale, the popularity of poker, driven by increasing TV coverage, has contributed, as have the heavily advertised sports betting platforms and rise of esports and fantasy video games. More specifically, players in Singapore, for example, have been attracted to online casinos because of a lack of land-based alternatives and prevailing national constraints while gambling spend in the USA has grown in line with rises in the minimum wage since 2008. Commentators expect this trend to lead to further market growth. Since 2013, when the US relaxed laws regarding how US citizens accessed online casinos, the country’s love of gambling, as is so often characterized by the glitz and glamor of Las Vegas, has seen internet-based platforms increase significantly as players have moved online. This has afforded US players more choice while developers have been encouraged to provide more new and unique experiences. The country’s players rank fifth in the world for the biggest gambling spend per person while the USA ranks number one for net spend in the market. One of the most lucrative sectors in the UK is gambling. The industry made $18 billion in revenue last year. The innovation developed by online providers has been attributed to its growth alongside attractive bonus offers, a variety of games to play, and gambling’s increasing acceptance as a social lifestyle activity. Australia was always going to be a country primed for the online gambling revolution. A study published in 2017 by the Queensland Government Statistician's Office showed how gambling revenues had continued to rise over the last few years. Investopedia also reveals that Australian players spend more money per person than any other country which is in line with the nation’s citizens possessing more disposable income on average. Canadian online casinos are emerging at a fast rate to meet growing demand. Some reports suggest three out of four Canadians have gambled at some point in their lives with many choosing online platforms to do so. A number of provinces operate casino portals, including Quebec and British Columbia, with some of the world’s biggest online casinos licensed by the Canada-based Kahnawake Gaming Commission. Singapore has, like many other countries around the world, seen a rapid increase in online casino players. A recent study published by a governmental body in 2017 found that 52% of residents aged over 18 had played a gambling game during the year. This was an 8% increase on a previous survey conducted in 2014. 4D games proved to be the most popular type of gambling activity with Singapore’s “Toto” lottery second. Furthermore, the popularity of gambling in the country is underlined by Singapore’s players lying second behind Australia for gambling spend per person according to Investopedia. The online casino industry’s growth shows no signs of slowing. More choice is one of the factors but we’re seeing less restrictive regulations make it easier to gamble while innovations in the market provide attractive options for players all over the world.